I was just 16 when I poured my first beer. It was my first restaurant job and a customer ordered a pint while the bartender was busy. I'd seen her do it hundreds of times, and she made it look so easy. Besides, it couldn't be that different from filling a cup from the soda machine, right? Needless to say, my first pour was less than spectacular. It's a lot harder than it looks, and if you don't know what you're doing, you can end up with a foamy mess. 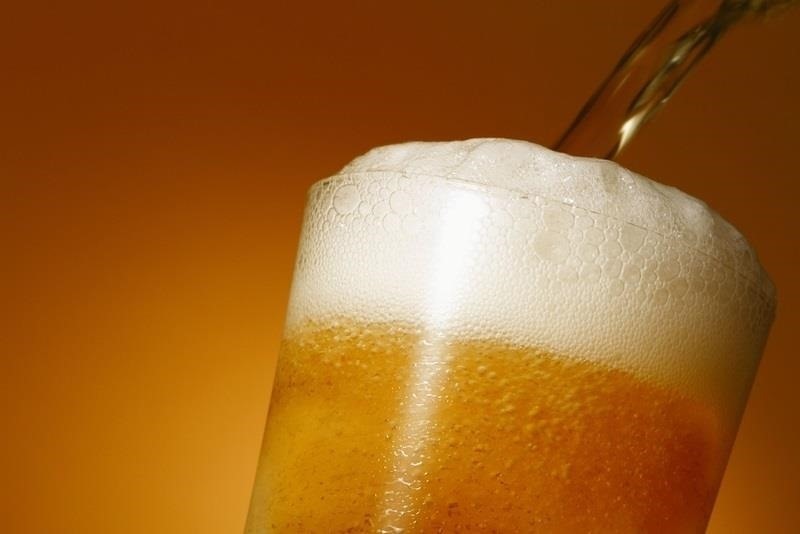 The way you pour a beer has a drastic effect on the thickness of that foam, i.e. the head. Where Does the Head Come From? The head on a beer is all about carbon dioxide. It gives it a subtle sour taste and releases tiny molecules of flavor you can smell every time you take a sip. It's also what causes the froth, or as it's called scientifically, nucleation. In carbonated drinks, carbon dioxide is dissolved into the liquid, so when it's sealed in a can or bottle, it creates a lot of pressure. When it's opened, the pressure drops and the carbon dioxide molecules rise to the surface in the form of bubbles. 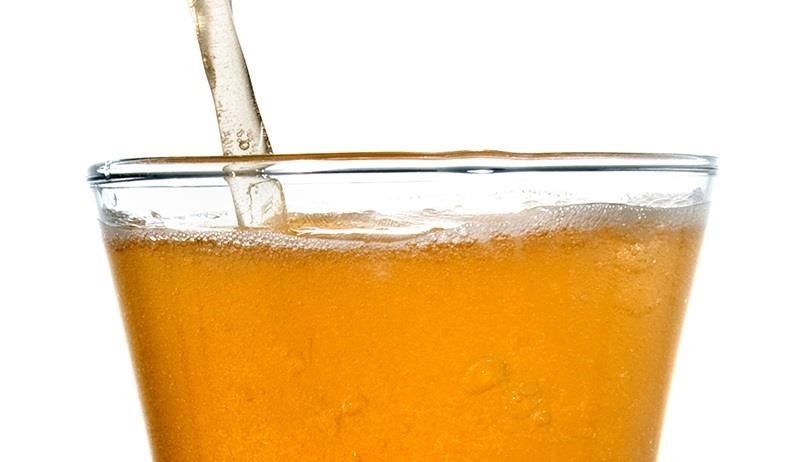 A lot of people don't like the head on a beer, but even though you may hate foam in your mustache, it actually has an impact on how it tastes and feels in your mouth. As The Kitchn explains, "aroma also plays a huge role in our perception of flavor, maybe even more than the taste itself," which means you're missing out on tons of flavor if you decide to skip the head. You can control the rate of nucleation, and how thick the head is, by altering the speed and angle at which you pour the beer. Here are 5 steps for a scientifically perfect pour. 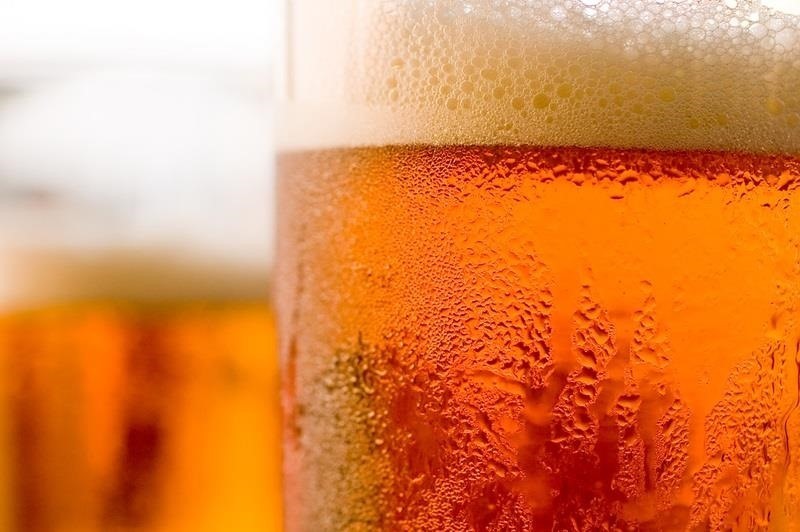 After you've chosen a glass for your beer, give it a quick rinse, even if it's clean. If there are any oils or residues leftover from the last use or the soap used to wash it, they can not only affect the taste, but inhibit the formation of the head (that's where the nose trick comes from). 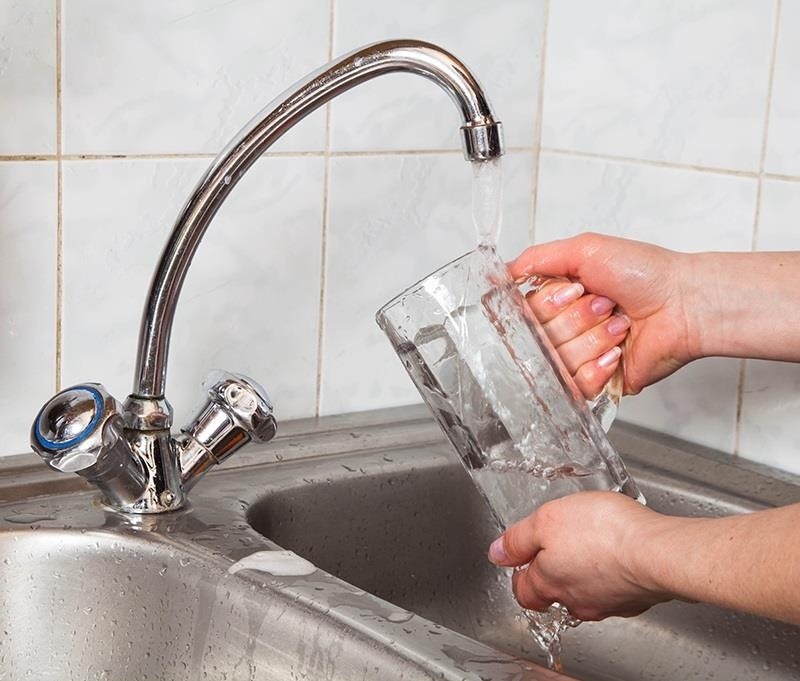 Before you pour a single drop, tilt your glass about 45 degrees and aim for the middle of the slope. This angle is shallow enough that the beer travels smoothly down the glass, but steep enough that it won't splash back up the side. A smooth flow means less air, and less air means you have more control over the foam. 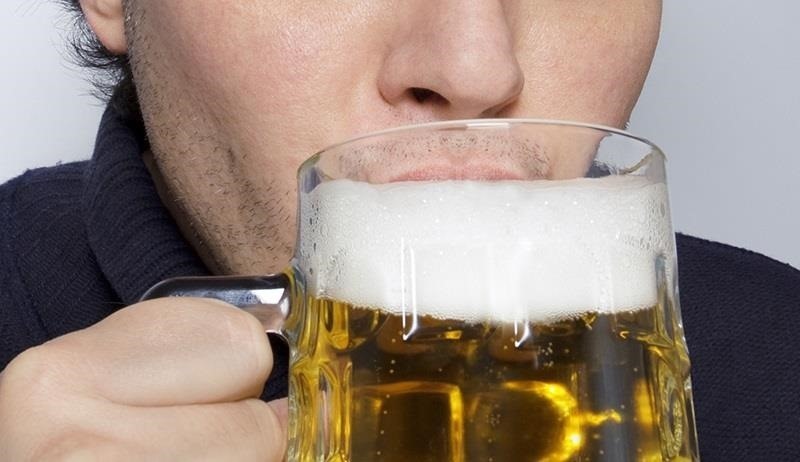 When the beer reaches the lip of your glass, slowly straighten the glass until it's upright. At this point, there should be little to no head on top. 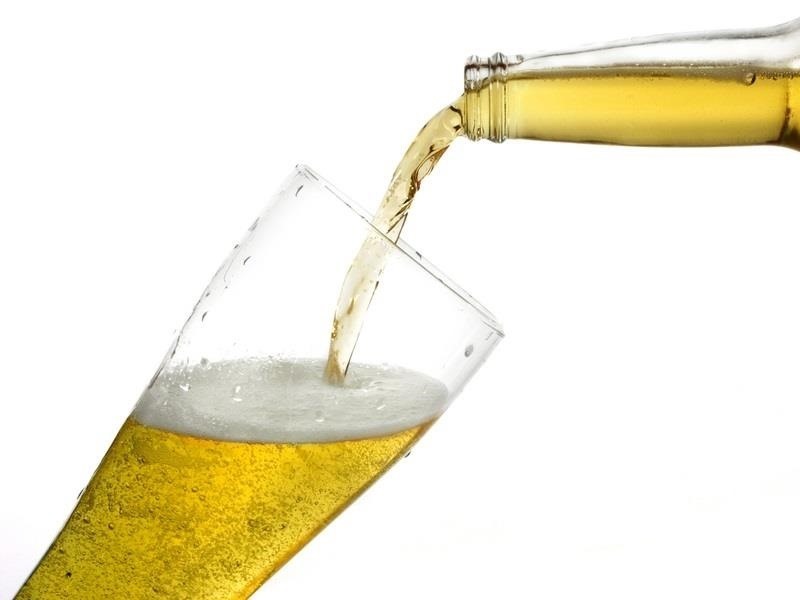 Once the glass is at a 90-degree angle, pour the remainder of the beer directly into the center, leaving a gap between the can or bottle and the glass. Pouring from higher up allows more air into the beer and helps to produce more foam. Keep pouring until the head bubbles up just above the top of the glass. Ideally, you're going for a 1 to 1½ inch head. Now that you've poured a beer with the perfect head, it's up to you to make sure it stays put. Because the head is made up of carbon dioxide bubbles, it will inevitably dissipate as they burst, but you can slow down the process by drinking carefully. Try not to drink too much of the head in one mouthful by just sipping from the top of the glass. You can also prolong the head by choosing the right type of glass. Some manufacturers etch additional nucleation sites into the bottom of the glass so that it's constantly producing bubbles as you drink. Check out the video by Head Squeeze to see the process in action and to learn more about the science behind your beer's head. How To: Beer—Could It Be the Answer to Your Smartphone Addiction? This is rubbish. Ale "pulled" from a keg maybe. Beer, lager, pilsner doesn't need it. It comes out of a pressurised keg. It's just wankers talking crap. I worked in pub for years and I've had beers thrown at me for having left too much froth (more than a couple of ml) and rightly so. People shouldn't be paying for air.